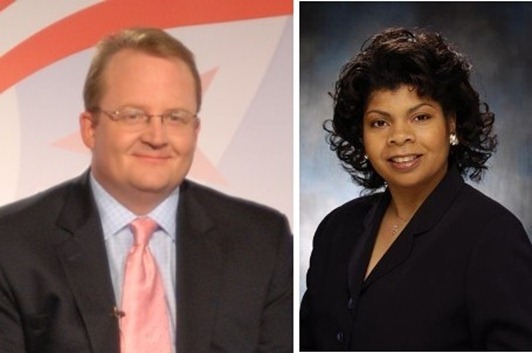 Robert Gibbs who is the press secretary got some what annoyed with April Ryan, a White House correspondent for the American Urban Radio Network. During the course of an interview where she was questioning Gibbs regarding Desiree Roger, who is the social secretary at White House for having attended a diner sans invitation at White House, Gibbs got offended by it on Ryan. Although the transcript of the interview has not yet been released on the White House website, a segment of the interview has been leaked and can be read as follows. GIBBS: April, I, I, that’s not a station I live in in life. RYAN: Just answer the question, please. GIBBS: Are you done speaking so I can? RYAN: Oh yes, I’m done. GIBBS: I’ve not heard any of that criticism. I’ve not read any of that criticism. The president, the first lady, and the entire White House staff are grateful for the job that she does. And thinks she has done a terrific and wonderful job pulling off a lot of big and important events here at the White House. RYAN: Did she invite herself to the state dinner or was she a guest? Did the president invite her or did she put her… No, that’s a real question. Do not fan it off. I’m serious. GIBBS: Right. Was she at the dinner? April, April, calm down. Just take a deep breath for one second. Now see? This happens with my son. He does the same thing. RYAN: Don’t play with me. I’m being serious. Do not blow it off. GIBBS: I’m not… And I’m giving you a serious answer. Was she at the dinner? Yes. She’s the social secretary. RYAN: Social secretaries are not guests of the dinner. GIBBS: She had the primary responsibility for running the dinner. I’m going to get back to weightier topics like 98,000 men and women in Afghanistan. Here is a video of the episode in which you can see it for yourself. Behavior of this kind from people in such high positions is neither expected nor appreciated.